If the allegations are to be believed then employees were expected to work with materials tainted with asbestos. 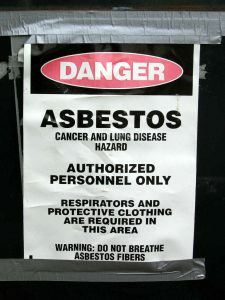 An electric company in Missouri has been accused by employees of exposing them to asbestos over a period of time, putting them at risk of developing asbestosis, mesothelioma, and other serious conditions while they worked for the company. The lawsuit was filed on September 13 on behalf of several employees. Employees and former employees involved in the lawsuit hope that they are granted class action status. If the allegations are to be believed then employees were expected to work with materials tainted with asbestos. The asbestos contaminated ducts, wires, and pipes had peeled and flaked and was not contained. At one point the company converted from using coal to using natural gas and employees were made to interact with more hazardous materials as the company made the switch. Les Rider, the plaintiff in the case and an employee of the electric company, said that he was told he needed to unwind insulated wires from the large spools so that they could then be disposed of. And the insulation, made of asbestos, began to flake off and crack as he began working with it. The company made it clear that they expected employees to comply with instructions to make the hazardous materials disappear. Rider says that the things that Empire District Electric Co. asked him and other employees to do have caused personal harm to him and others. Rider’s injury includes “significantly increased risk of contracting cancer and other diseases relative to what would be the case in the absence of exposure to known carcinogens.” The suit asserts that the electric company either was aware of the asbestos risks it was exposing its workers to or it should have been aware of this problem, especially during the plant’s conversion. We like to think that most businesses care about the health and well being of their employees. Going to work every day and spending hours working for a company that is knowingly exposing you to potentially deadly materials is a terrifying concept that sadly is a reality for many workers. Not only does it put workers in jeopardy but this can have devastating impacts on entire families. Workers who have been put at risk by their employers should contact a Missouri personal injury attorney to discuss legal options. Our legal team has a strong history of helping injured workers get the medical attention and financial compensation that they need. Contact our St. Louis, Missouri workers compensation law firm to ensure that your rights are protected. Please call (314) 361-4300 or toll free at (888) 872-6795. You can also complete our Online Case Evaluation Form.